The Just Add Ink Team have combined with the Helping Hudson Fundraiser gals to bring you this week's challenge - JUST ADD WHEELS!!! Over at the Hudson Fundraising Site, a group of very dedicated ladies have put together a wonderful blog to help raise money for little Hudson who needs a Kid Walker! There's a competition posted every day and three challenges every week, plus a heap of amazing tutorial packs to buy. Why don't you check out this 'Wheely Great Cause'? The link is on my side bar and at the beginning of this post. 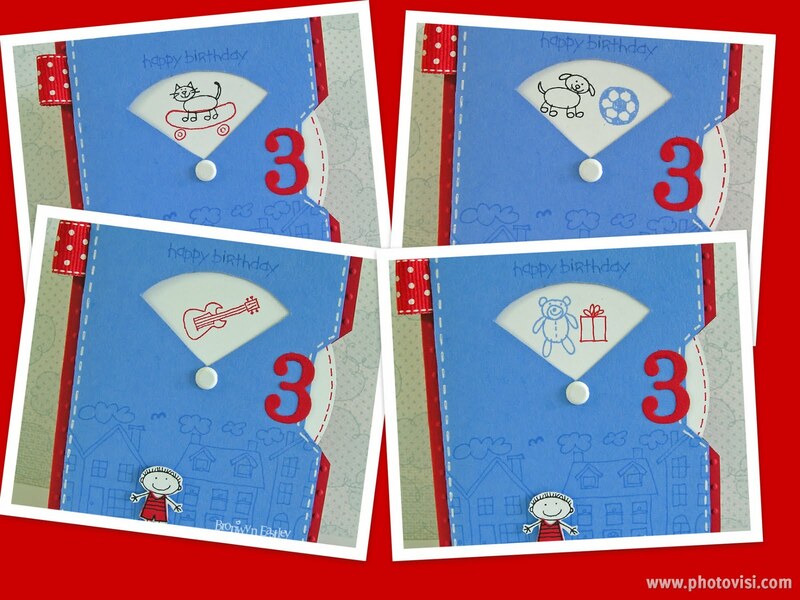 With my card for this week, I also went with the idea of a birthday card for a little boy!! I think Hudson will be turning three next birthday?? I cracked open my pack off Ballet Blue Cardstock and took the wrapping off the matching ink pad that I had bought months ago to combine with the bright, Real Red for a 'junior' look (but alas ... Ballet Blue is about to retire after I've just 'discovered' its appeal). The FREE TEMPLATE for the Wheel Card is from Victorine Originals. Happy Crafting and enjoy the weekend. I know I will because I'll finally get a chance to play with my new pre-order goodies!! Can't wait. this is fabulous, I love it, and its so much fun. What a cool card, so much fun! I am goint to have to make myself one of these!! Bron, this is SO cute. I love it and will definately be trying one out! What a clever idea for the wheels challenge! I love the fun images you used for the wheel - I reckon my Mr 2 would love this to bits (quite possibly literally) if I made him one when he turns 3. Terrific bright and fun card, very clever! This is awesome Bronwyn! 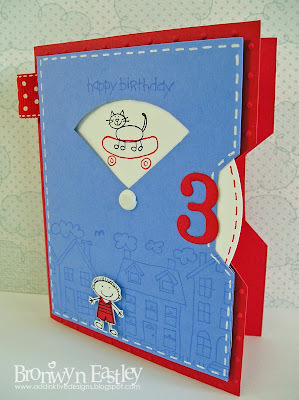 Love the bright colours and fun images. 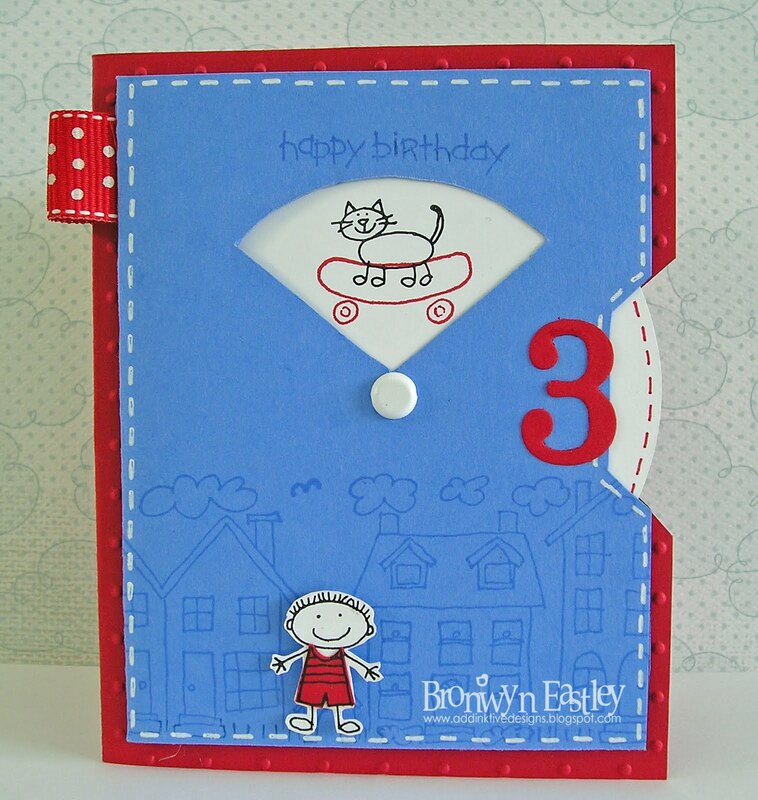 Another gorgeous card - such a clever use of this set & wheel! Absolutely LOVE this card! I have to make one now! TFS! 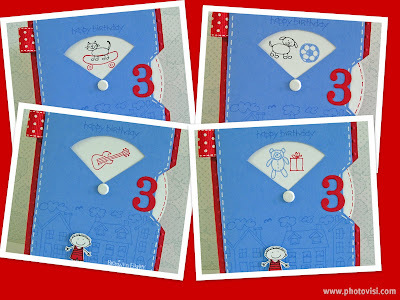 So clever and effective....any little kid would love this card. Just right! TFS!